When people think of Nebraska, they don’t often think of plant-based foods. It’s no secret our state is famous for its beef, its burgers and its steaks, but that doesn’t mean our foodie community has ignored vegan and vegetarian cuisine. 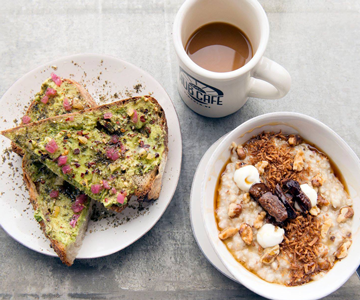 In fact, the Omaha and Lincoln areas boast a handful of local spots that are entirely vegan or entirely vegetarian—and even more that offer mouth-watering plant-based options alongside their meaty fare. To see the impressive list in and around Omaha, check out 21 Vegan + Vegetarian-Friendly Omaha Area Restaurants You Need To Try. And to track down the best options in Lincoln, keep reading!